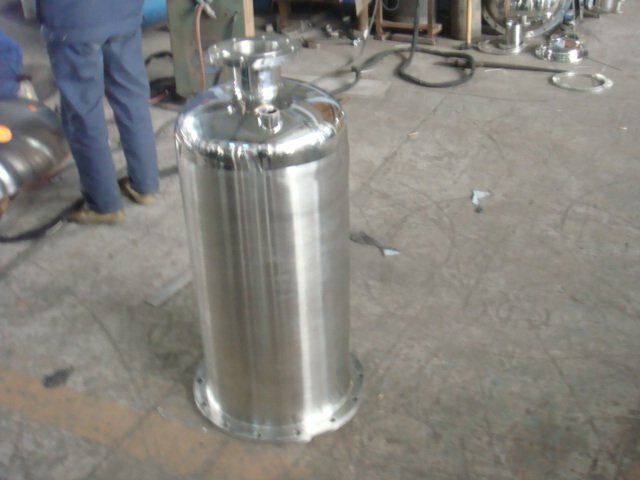 The device is applicable to alcohol recovery in filed such as pharmaceutical, food, light industry and chemical industry and so reduces the production cost and improves the economic benefit. 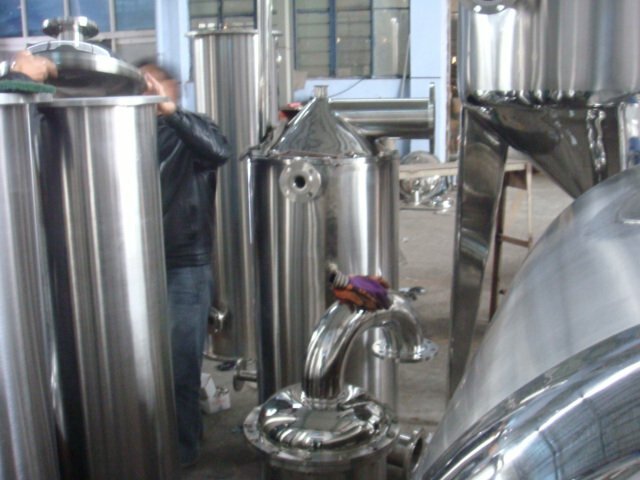 The device uses high efficiency stainless steel corrugated packing, all the parts contact with alcohol such as tower body, condenser, regulator tank, and cooling snake tube are made of stainless steel, to ensure that the finished alcohol products are not contaminate. 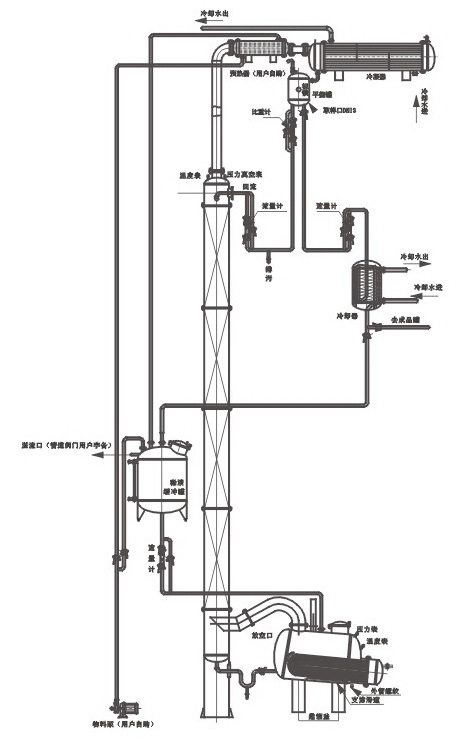 1) The tower reactor adopts removable U-tube, this makes it easy to heat outer wall and clean inner wall of the distillation kettle. 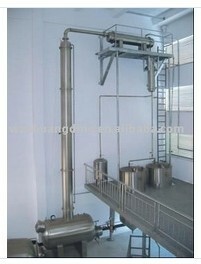 2) This device can distill alcohol from 30-50 degrees to 95-99 degrees.